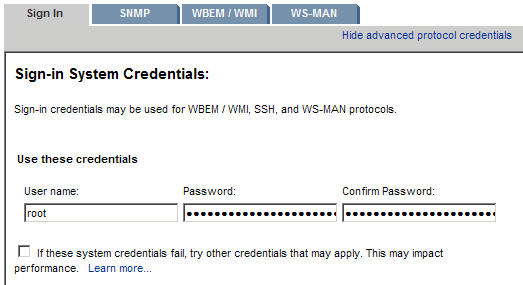 Note: Ideally require HPSIM 6 or better for monitoring HP ESXi 4.1 hosts. HPSIM 5.3 with SP1 will still allow monitoring of pretty much everything including the physical disks, and the screenshots from the post are from a HPSIM 5.3 with SP1 (Build C.05.03.01.00) box. 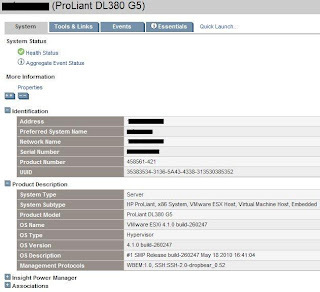 Also - for full reporting - the ESXi host must either be built with the HP ESXi build, or the standard VMware build with HP Offline Bundle installed. 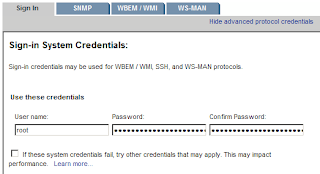 7: Wait a bit longer for HPSIM to process the server and we are done! 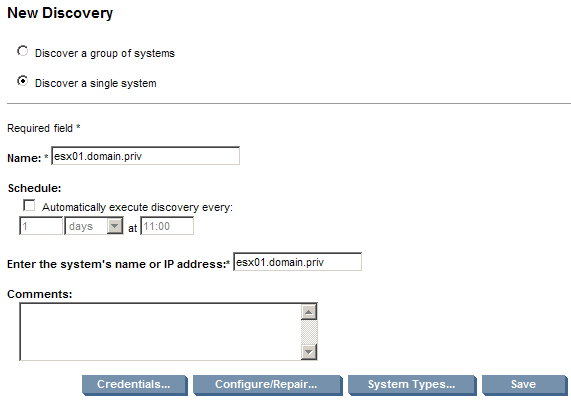 The discovery process will also add all the guests on the host into the HPSIM database. 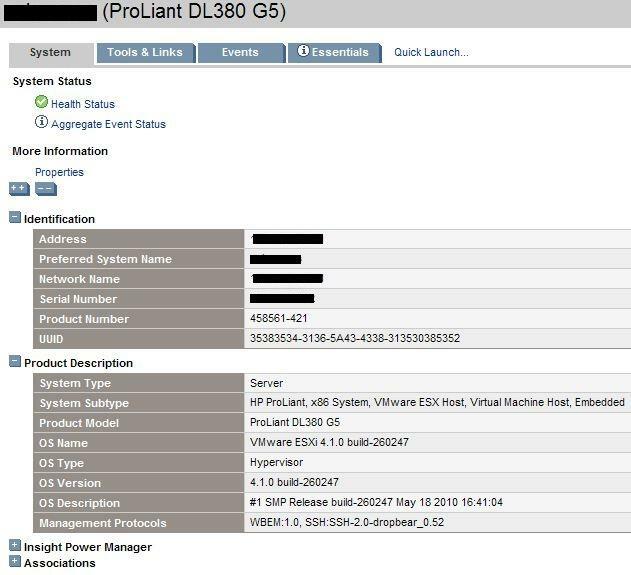 How would one install array configuration utility to check on RAID setup on Proliant ML350? 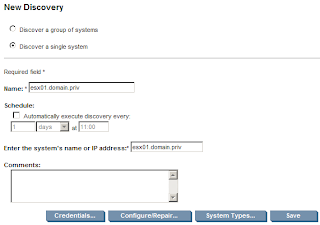 You cannot install the HP ACU on a VMware ESXi host (at least as far as I know.) 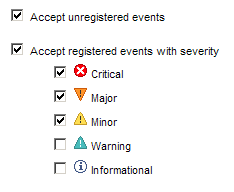 With the HP Offline Bundle for VMware installed into ESXi (HP CIM providers) you will be able to see RAID type from HP SIM and Properties on the System tab > Health Status (like the graphic above.) 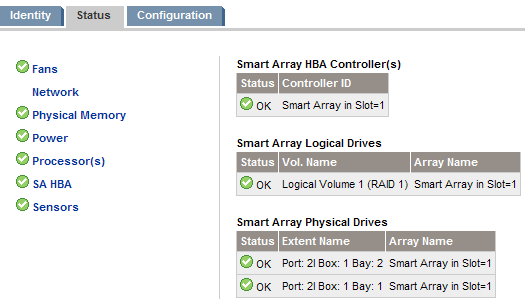 If you want to reconfigure the RAID, it would mean a reboot to HP Smart Start CD.